Do you remember riding in the front seat as a kid? Or riding without a seatbelt, riding "backwards" in the rear seat of a faux wood-paneled Oldsmobile station wagon (that was the best! ), or riding a bike as fast as you could, downhill, with your hands in the air and the wind blowing through your unfettered (er, we mean unhelmeted) hair. 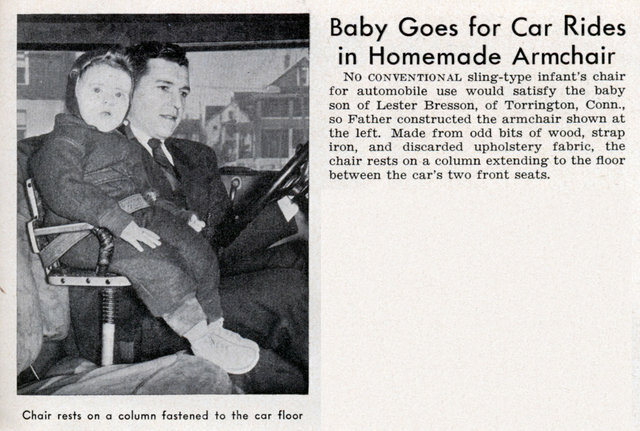 Ah, yes, those were the days. In honor of those days gone by, here's a quick look back at how our children used to roll. 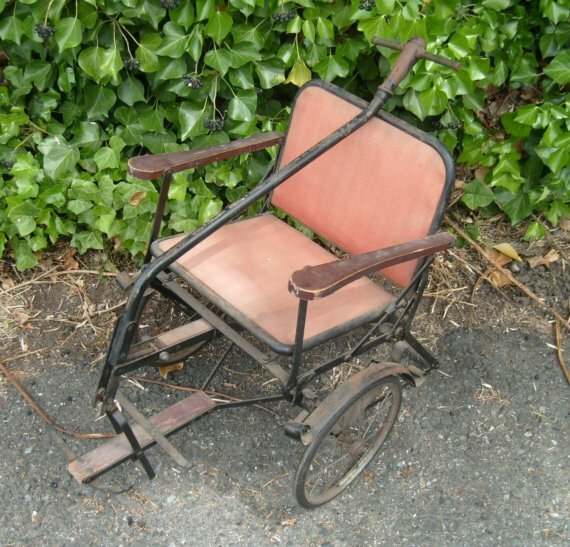 Antique baby stroller. via Freestyle Collection. 1960s bike seat attachment in red plaid. via Time for Memories. 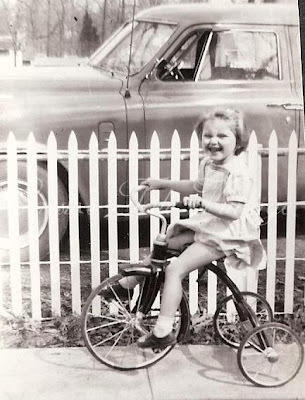 Taylor Tot walker, c. 1950s. 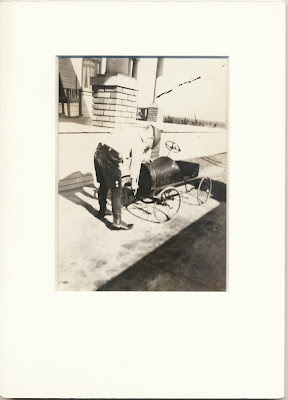 via wehaveituneedit. Tricycle fun on the sidewalk. Love the white picket fence. 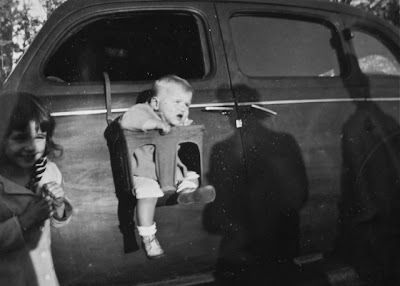 Homemade Front Seat Car Seat, 1939. Check out that "support column" - it looks like a joystick! via Modern Mechanix. A young driver with his pedal car. 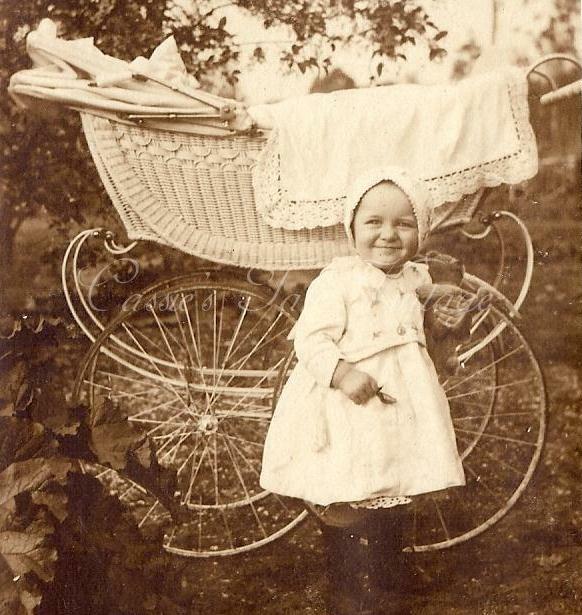 c. 1910s-20s. via Crow Creek Unique. We don't know. But big sis sure thinks it's funny. via Scissors & Spice. 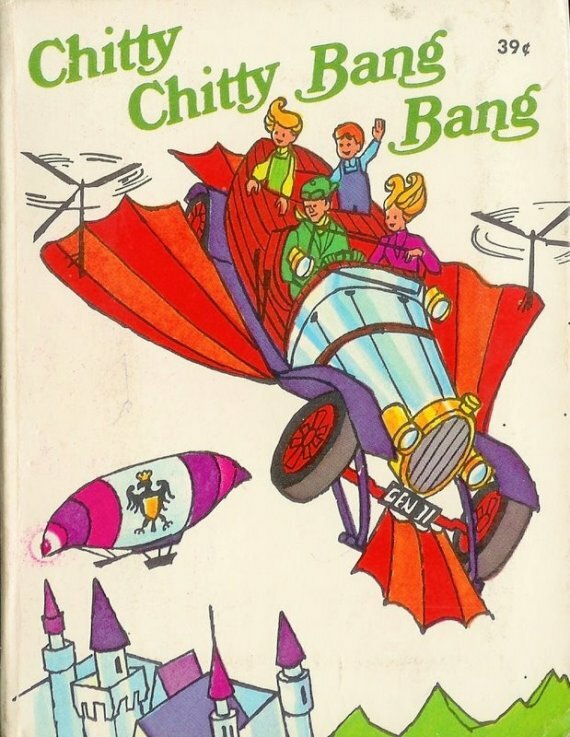 And our favorite - kids standing up in the back seat of a flying convertible! via Goodlookin' Vintage. 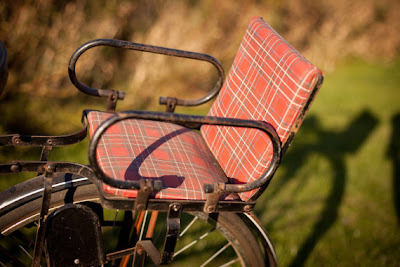 I had one of those plaid bike seats for my daughter in the early 70's....thought it was ever so cool. Same daughter I put in the front seat so I could feed her a bottle while driving...she survived!! :) Fun article. Ha! I know more than a few people who were either the provider or recipient of said bottle in the front seat....all of whom are still here to tell the story. Thanks for sharing!